BRETT and Christie Briggs always had ambitions to run a cafe later in life but after a spanner was thrown in the works, they decided to fast track those plans. The NDIS affected Brett's former job at a local disability support service and he took a redundancy. Having been told a few months prior that the owner of the Beans and Greens Cafe in Ipswich was thinking about selling, Mr and Mrs Briggs took a chance. "We gulped and threw a cheque at him," Mr Briggs said. 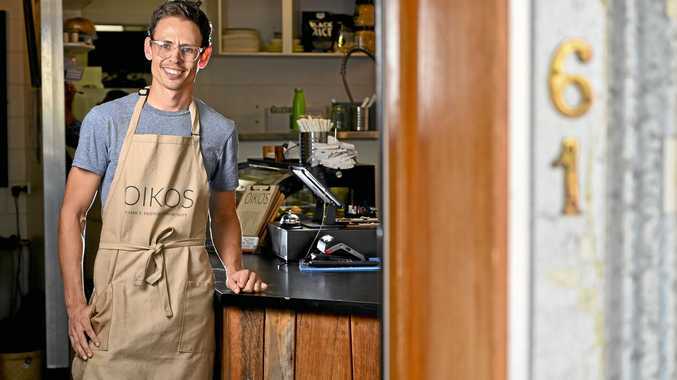 The couple has renamed the trendy establishment Oikos and it will officially launch on March 2. Oikos is the Greek word for "circle of influence". Neither has run a hospitality business before and Christie still works as a nurse in the maternity ward of St Andrew's Hospital. They hope their love for the city, its people and good food and coffee will be a winning combination. 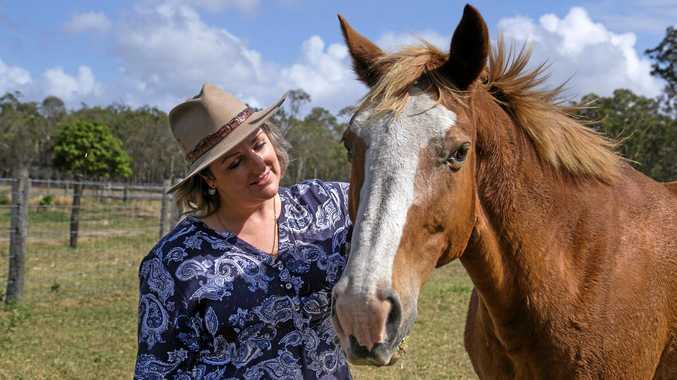 They have partnered with produce providers from the Lockyer Valley to the Glasshouse Mountains, as well as Kai Coffee from the Sunshine Coast. "The menu we're doing is fresh, simple and easy, but it's tasty," Mr Briggs said. "We want to use local produce and let that be the standout. "A part of who we are as people is we like having people over and cooking for them. So we're trying to make it like that. It's not just 'come to our cafe'... it's natural, it's not put on." Although there small business closures have created a gloomy mood, Mr Briggs believes there is potential. "We love Ipswich," he said. "Essentially what Oikos means is not putting all your faith and trust in someone and going 'you should solve all of my problems'." "It's about community working together. We want to tap into what's already here." They want to increase inside dining capacity by double and to keep the option for people to grab a coffee on the go. The cafe has partnered with Ipswich Connect, whose aim is to connect people to their community through positive role modelling and from every bag of Kai Coffee sold, money goes to feed children in poverty. "We don't just want to be a coffee shop in the community, but be engaging with the community as well," he said. The young parents will be busy in the coming months, as they welcome another baby to the family alongside daughter Feli. "I'm not an anxious person in general. I do a lot of risky things in my life," Mr Briggs said. "The first day (he took over) I was so anxious. "Now we're in the swing of things."